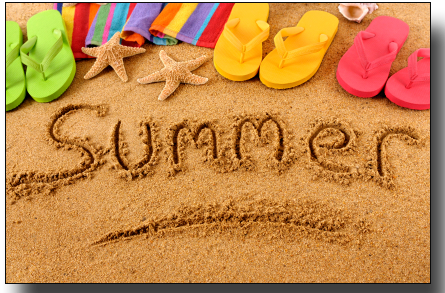 What is your favourite things about summer? Hands down summer braai’s with family and friends. It brings family together and not to mention you have loads of fun and laughter which I love and now that my girls are here and part of the summer festivities, makes it a hell of a lot more fun. Do you have a favourite drink? Yes it’s depends, at restaurants it’s always passion fruit and lemonade. I really enjoy the mojitos from KFC, it’s affordable but so refreshing. When I want to be fancy nancy I will try a cocktail, virgin of course! Is there a location you like to go to each summer? Mostly the beach, the girls are like their dad, water babies, they absolutely love the ocean. We have been drawn to a spot at Muizenberg beach practically empty. Most times as a parent you worry about going to a place that is so full to the point where you are paranoid your kids will get lost or worse, stolen and this spot gives my kids the freedom to run around and enjoy themselves. Bliss! Favourite make up look for summer? I tend to stay clear of foundations, I prefer creams with a sunscreen built into it. If I’m going a place that would require me to dress up, then I will use a bb or cc cream. Then the rest of the make up will be minimal or natural looking, with a tint of blush and highlighter. Dresses definitely, I love a line and maxi dresses. Both, I’m into smart casual style so both are equally great for a casual look. Again both, there are so many fabulous hairstyles that can be used especially on those hot and humid days. Hands down my favour perfume ever is Davidoff’s Cool Waters. Although perfume or strong smelling perfume gives me headaches so I prefer gorgeous lotions, body butters and hand creams to help me smell good.